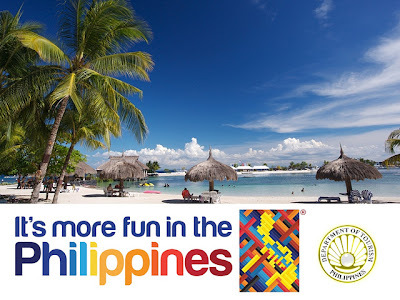 The Lifestyle Publication, one of the best newspapers for advertising in China named the Philippines as one of "2012's Best Leisure Destinations". The Grand Annual Tourism Awards organized by the Lifestyle Publications now runs for about three (3) years. Department of Foreign Affairs (DFA) said that awardees were chosen by the tourism industry representatives and professionals. Among the awardees on the same category were Thailand, Indonesia, Malaysia and the Maldives. Lifestyle is renowned as the “top fashion and lifestyle service newspaper brand in China. It has a circulation of about 300,000 copies and is published every Monday and Thursday. The four (4) Grand Annual Tourism Awards given by Lifestyle are “The Most Popular Destination Award”, “Classic Destination Award“, “The Most Attractive Destination Award”, and the “Best Thorough Tour Destination Award”, DFA said. The good news from DFA is a sign that tourism in the country will continue to improve after the back-to-back record growth for tourism on the first quarter of 2013. Last year, Philippines' top island "Boracay" was named "world's best island" and "top beach destination".